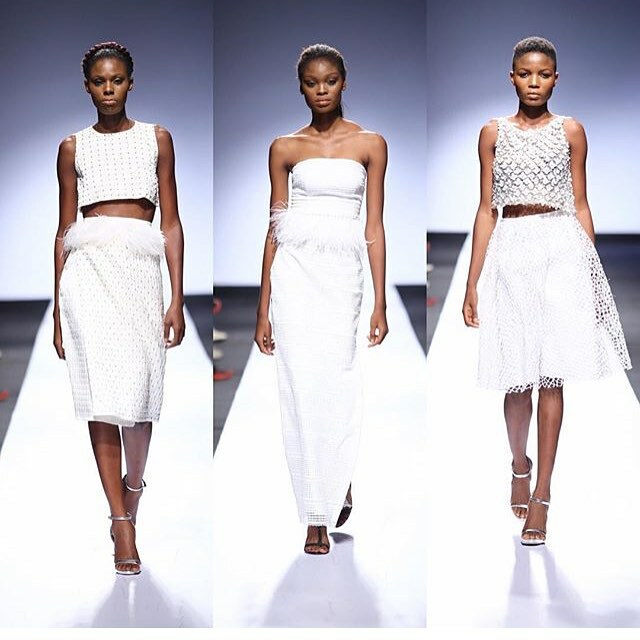 If you were looking for an exquisitely feminine collection that showcases how African fashion designers create their own idea of beauty, look no further that Sophie Zinga’s collection at the 2015 Lagos Fashion and Design Week (LFDW). 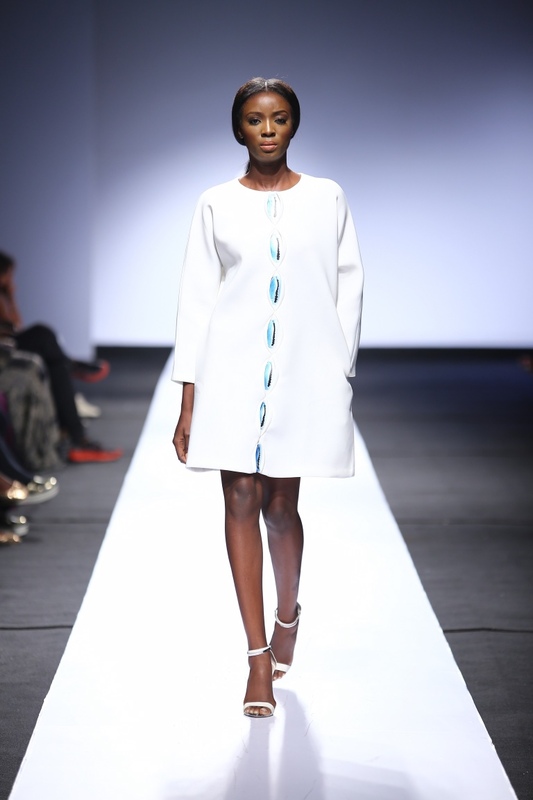 Sophie Zinga is one designer who can do no wrong, especially with melding one aesthetic with another. 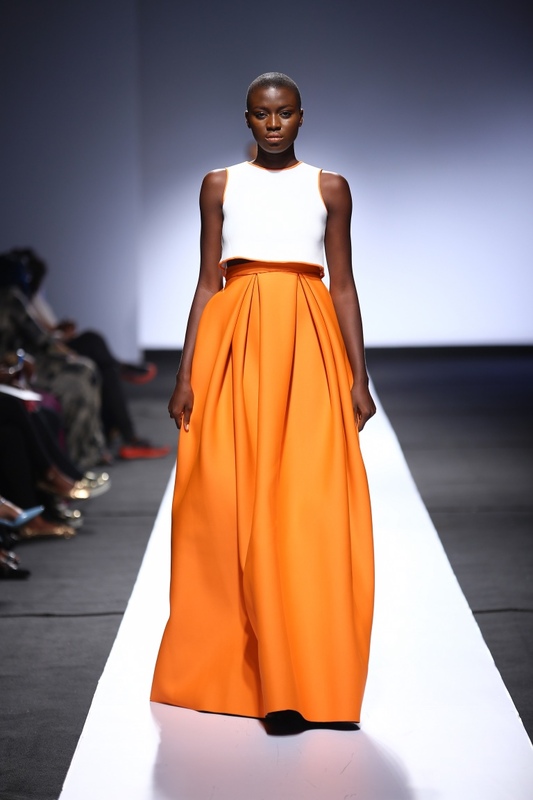 Whether it was with the classic simple long sleeve shirt, with a midi skirt, waist slightly raised, neck rounded, or fringes at the bottom of the skirt or the flowing orange maxi-skirt with a great simple white cropped top, this collection was a great reminder that in the end, as cool as a concept may be, it comes down to the clothes on display. 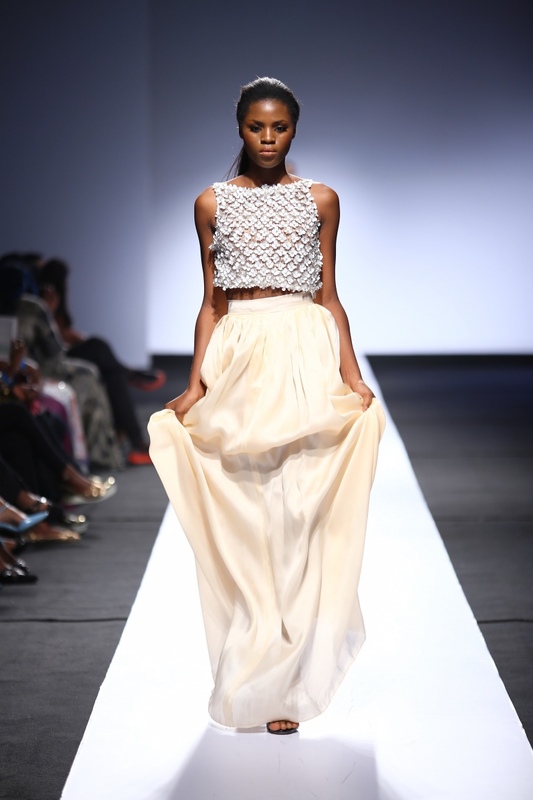 And everything Sophie Zinga showcased at LFDW was utterly divine. The Sophie Zinga woman redefines freedom and paints her own destiny even if it is an ode to Africa’s once monetary system, the cowry shell. 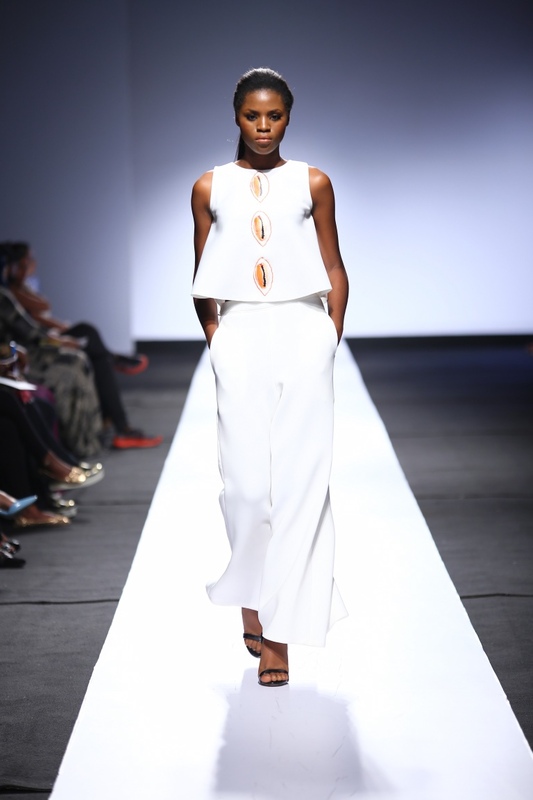 She also paints the town white, if the collections on display are anything to go by. 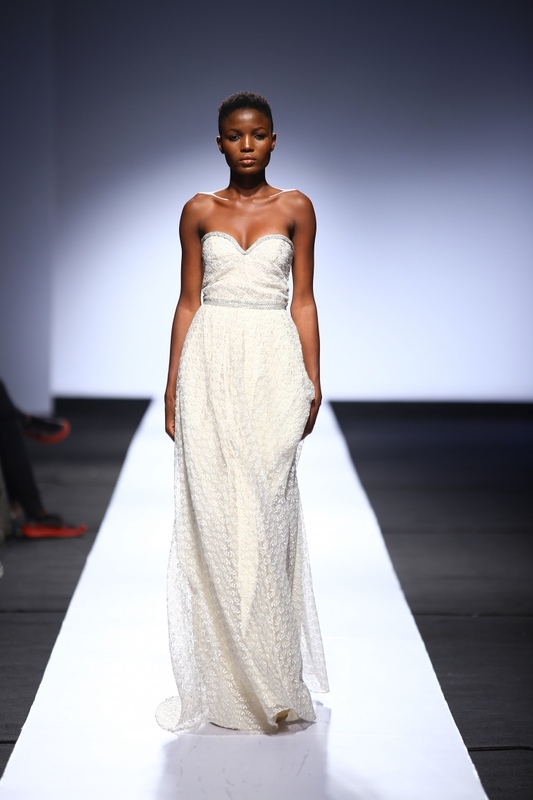 Gowns and skirts were made from diaphanous white cotton muslin edged with delicate lace that looked and feel light. 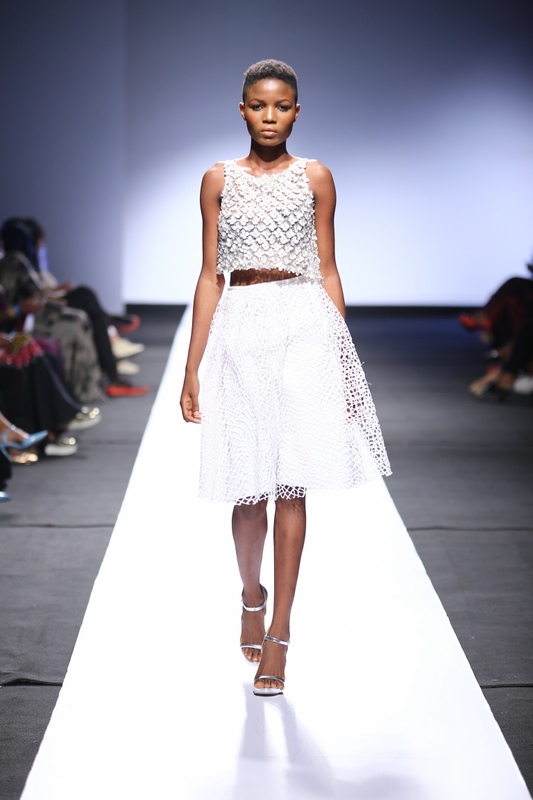 Clearly this collection is for the woman who is not afraid to showcase the art of glamour. 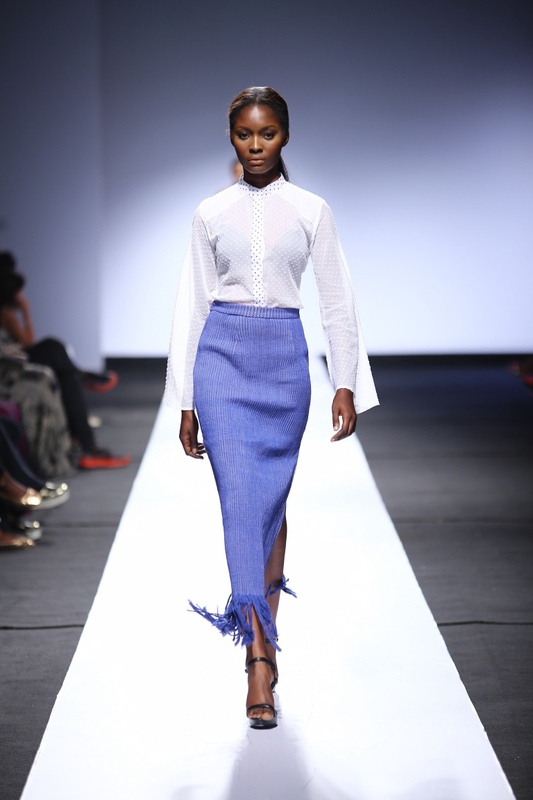 Sophie Zinga hits the nail on the head when it comes to designing clothes that everyone wants to know where it’s from because put quite simply, it just looks so good; so expensive-looking. What makes the impact, as was evident in the presentation today, is everything colliding to create the sheer brilliance of an utterly divine collection that is worthy of retail sales anywhere in the world.